Ryan Herd’s love for golf and helping others started back in high school when he took part in the Southern California Golf Association’s youth program. Ryan was a participant in SCGA’s Golf Pass program, which gave local youth access to various golf courses around Southern California for an extremely discounted price. On Saturday, September 28th over 150 Coach Across America coaches from Los Angeles and around the country started an intensive four-day training conducted by the Up2Us Center. The National Coach Training Institute focused on applying trauma sensitive coaching and positive youth development techniques through sports to better support at-risk youth. At the completion of the Coach Training Institute on Tuesday, October 1st, coaches marched to Lafayette Community Center celebrating their send off into communities across the country to use sports to mentor and empower youth. The graduation ceremony, hosted by Up2Us member Heart of Los Angeles (HOLA), included a number of special guests who spoke about the importance of being a coach and mentor to at-risk youth. Speakers included HOLA Executive Director Tony Brown, Up2Us Founder Paul Caccamo, former professional soccer player & Up2Us staff member Angela Hucles, Department of Recreation and Parks East District Supervisor Veronica Rodriguez, former professional volleyball player Gabrielle Reece, and former professional tennis player Pam Shriver. Following the panel discussion, coaches and special guests participated in a gallery walk to further discuss the knowledge and techniques coaches learned during Up2Us’ Coach Training Institute. A closing circle ended the ceremony with a Coach Across America team building tradition, ‘Ketchy Ketchy’ brought to us by our partners at Edgework Consulting. Congratulations to our graduating Coach Across America coaches! Thank you for committing to a year of service coaching and mentoring at-risk youth through sports! A special thank you to all the special guests and attendees who came out to ‘Creating Change Through Sports: Coach Send Off.’ over 150 Coach Across America coaches. This past week, Mercedes-Benz USA, in partnership with the Laureus Sport for Good Foundation, announced a $1.15 million gift to the Up2Us Coach Across America program. The announcement was made in Chicago with celebrity athletes and Laureus World Sport Academy Members, Edwin Moses and Marcus Allen, in attendance. The funding will sponsor 250 coaches in New York, Chicago, Los Angeles, Miami and New Orleans. There's something very special about this donation: it came from an automobile company. That's right, an automobile company whose business is not obviously tied to fighting childhood obesity or promoting health outcomes. But Mercedes Benz USA demonstrates that maybe it's business is, in fact, tied to the wellbeing of the next generation of Americans. Maybe all our business is tied to this one single outcome. You don't need an Italian mother like mine to remind you that "if you have your health, you have everything". Yet, we continue to ignore the worsening situation in which an estimated 25 million children will watch their health erode because of poor diets and a lack of opportunities to engage in regular physical activity. Without their health, this generation will face countless other challenges, that include low worker productivity, low quality of life, low civic engagement and even increased depression. Is this really the future of America? The 250 Coach Across America coaches will be equipped with the tools to use sports to teach nutrition and wellness and to inspire physical activity for more than 40,000 at-risk youth. 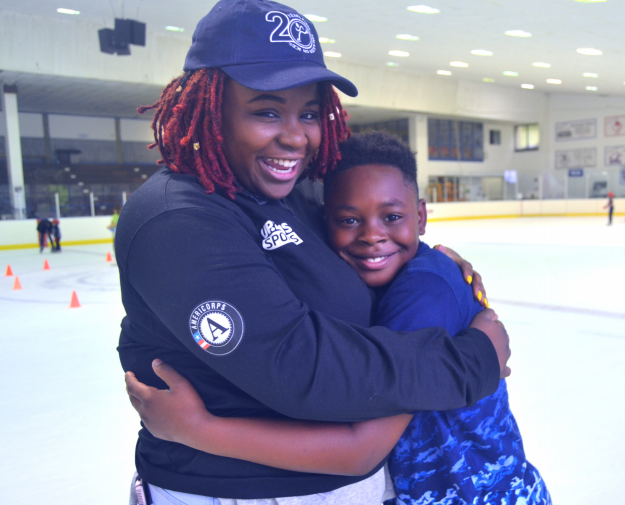 This is just the start for this program, which challenges every person to use their love of sports to spend a year in service to kids who need them. If our nation has its health, it has everything. At a time in which we face numerous challenges, let's keep this in the forefront of our minds.